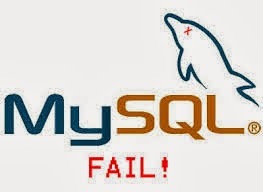 "ERROR 1146 (42S02): Table ‘mysql.servers’ doesn’t exist"
Đúng với tên gọi của mình: nút gốc (root) đây là nơi bắt đầu của tất cả các file và thư mục. Chỉ có root user mới có quyền ghi trong thư mục này. Chú ý rằng /root là thư mục home của root user chứ không phải là /. Thư mục này chứa các file tạm thời được tạo bởi hệ thống và các người dùng. Các file lưu trong thư mục này sẽ bị xóa khi hệ thống khởi động lại. /usr/sbin chứa các file thực thi của hệ thống dưới quyền của admin như: atd, cron, sshd... Nếu bạn không tìm thấy chúng trong /sbin thì hãy tìm trong thư mục này. Chứa dữ liệu liên quan đến các dịch vụ máy chủ như /srv/svs, chứa các dữ liệu liên quan đến CVS. The first complete reference guide to the essential Web protocol. As applications and services converge and Web technologies not only assume HTTP but require developers to manipulate it, it is becoming increasingly crucial for network managers, Web masters, and anyone working with HTTP to understand the nuts and bolts of this most prevalent Web protocol. This book provides complete documentation and explanation of the protocol, including advanced and experimental extensions. 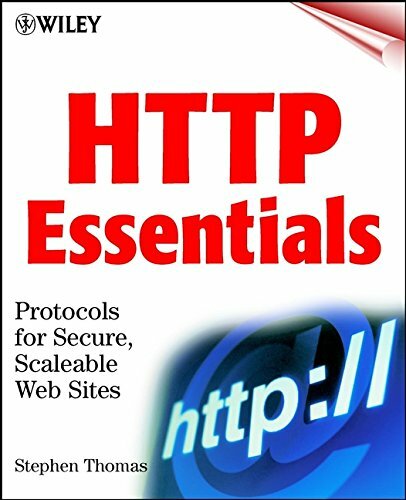 Readers will get core guidance on implementing HTTP 1.1 in their products, including how to accelerate HTTP in large scale Web sites, how to secure it, and how to handle compatibility issues with versions 0.9 and 1.0. HTTP switching and invisible HTTP operations such as option negotiations, status checks, and path tracing are also examined. This is one of the most common topics that I see customers will ask about. As highly important as PHP handlers are, they often the least understood. They seem complicated, but its not too hard to understand. You don’t have to know that exact science of how it all works, but one should learn the basics if you want to take your website seriously. Picking the right PHP handler for your website will give you the optimal speeds you want and maybe allow you to save some money by using a cheaper hosting package. So I invite you to take a few minutes and learn something new. In order to run a PHP site, the server must interpret the PHP code and generate a page when visitors access the website. It interprets the code based on which PHP library you are using, such as PHP 4 or PHP 5. A PHP handler is what actually loads the libraries so that they can be used for interpretation. PHP handlers determine how PHP is loaded on the server. There are multiple different handlers that can be used for loading PHP: CGI, DSO, suPHP, & FastCGI. Each handler delivers the libraries through different files and implementations. Each file and implementation affects Apache’s performance, because it determines how Apache serves PHP. It is essential for your server’s performance that you select the handler that fits your situation. Selecting the right handler is just as important as the PHP version itself. One handler is not necessarily always better than another; it depends on your unique setup. Note: You may assign different PHP handlers to different versions of PHP. For example, version 5 may be handled by CGI while PHP 4 is handled by DSO. You simply select your PHP handler choice from the drop-down menu. Then hit “Save New Configuration”. Note: If you do not see your desired choice in the drop-down menu, it may need to be compiled on the server first. Run an “Easy Apache” to compile it. DSO is also known as mod_php. DSO stands for: Dynamic Shared Object. This is an older configuration but is generally considered the fastest handler. It runs PHP as an Apache module. This means that PHP scripts will run as the Apache user, which is the user: ‘nobody’. DSO has two drawbacks. First, all files created by a PHP script will have the ownership of ‘nobody’. They will not be readable from the web. Websites that need to upload files through PHP will run into file permission issues. This is common with WordPress users that upload files through the WordPress interface or utilize the auto-update feature. These will fail with DSO. The second drawback is a security issue. Created files will have the ‘nobody’ ownership. If a hacker finds an exploit in your PHP script, they could implement a file that has the same privileges as important system files that are also owned by ‘nobody’. This will give them the ability to modify files outside of that user’s account. This is really bad for anyone who does reselling or simply is hosting other person’s sites. You would not one user to be able to affect another user. However, if there is only one account on the server (or if all the accounts are yours), then DSO may be right for you. The speeds benefits of DSO are unquestionable. The preventative fix the hack issue is to always keep your site’s software up to date. Check with your PHP script’s developer to keep up on the new releases. If you are the only one being hosted on the server, this is easy to do as it’s part of your webmaster duties already. However, if you’re reselling, it would be unreasonable to expect all your user’s to keep their software up to date. They simply may not be as diligent as you. DSO’s low CPU usage typically amounts in higher speeds and load times over most other handlers. It is also the default setting on most servers. CGI stands for: Common Gateway Interface. The CGI handler will run PHP as a CGI module as opposed to an Apache module. CGI still runs PHP processes as the Apache ‘nobody’ user. However, if you have suEXEC enabled, it will allow you to see the user that made the request. The CGI method is intended as a fallback handler for when DSO is not available. According to cPanel’s own documentation, this method is neither fast nor secure, regardless of whether or not suEXEC is enabled. suPHP stands for Single user PHP. suPHP also runs PHP as a CGI module instead of an Apache module. It differs from CGI in that PHP scripts that are called from the web will run under the user that owns them, as opposed to ‘nobody’. suPHP is typically the default handler and is recommended by cPanel for serving PHP because you will be able to see which user owns the account that is running the PHP script. suPHP is beneficial in that if you are using a file upload tool on your site (such as an automatic updater or theme/plug-in installer for WordPress), the files will already have the right ownership & permissions. Uploading and other WordPress functions will not work without suPHP or FastCGI. suPHP also offers a security advantage that any php script that is not owned by the particular user (such as another account or root) will not be executable. Also, files that have permissions set to world writeable will likewise be non-executable. This means that if one account is compromised, the malicious scripts will not be able to infect other accounts. The drawback is that suPHP generally runs a much higher CPU load. In addition, you CANNOT use an Opcode Cache (such as Xcache or APC) with suPHP. It is strongly recommend that you install a caching plug-into supplement. If you find that your server is still continually struggling with CPU usage, you will want to consider switching to DSO or FastCGI. FastCGI (aka: mod_fcgid or FCGI) is a high performance variation of CGI. It has the security/ownership benefits of suPHP in that PHP scripts will run as the actual cPanel user as opposed to ‘nobody’. The difference with FastCGI is that it can drastically save on CPU performance and give speeds close to that of DSO. It can also be used with an opcode cacher like eAccelerator or APC, which can help further speed the loading of pages. The drawback is FastCGI has a high memory usage. This is because rather than creating the PHP process each time it is called, like suPHP, it keeps a persistent session open in the background. This is what lets it work with an opcode caching software. If you like the security/ownership benefits of suPHP and you can afford a major increase in memory usage (meaning you already have a low average memory usage), you may wish to consider using FastCGI. Functions that require uploading files to the server (such as Auto-updates or Plug-in/Theme installation) will NOT work unless PHP is loaded as a CGI module. This means they will ONLY work with suPHP or FastCGI. This will ensure they are uploaded with the correct ownership & permissions. CMS platforms such as WordPress will notoriously run a high CPU load. You will want to install a caching plug-in such as WP Super Cache, especially if you are running suPHP. If you find that your server is still continually struggling with CPU usage, you may want to consider switching to DSO or FastCGI. Press the power button on your system, and after few moments you see the Linux login prompt. Have you ever wondered what happens behind the scenes from the time you press the power button until the Linux login prompt appears? 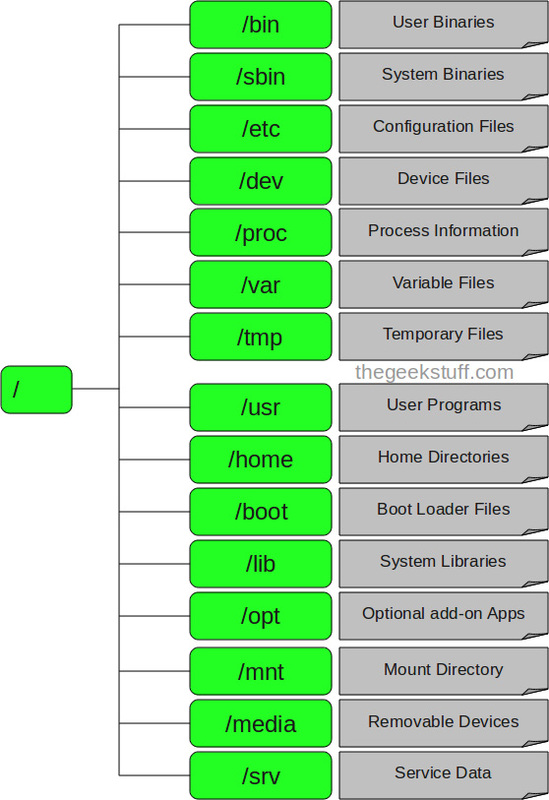 The following are the 6 high level stages of a typical Linux boot process. Searches, loads, and executes the boot loader program. It looks for boot loader in floppy, cd-rom, or hard drive. You can press a key (typically F12 of F2, but it depends on your system) during the BIOS startup to change the boot sequence. Once the boot loader program is detected and loaded into the memory, BIOS gives the control to it. So, in simple terms BIOS loads and executes the MBR boot loader. MBR stands for Master Boot Record. MBR is less than 512 bytes in size. This has three components 1) primary boot loader info in 1st 446 bytes 2) partition table info in next 64 bytes 3) mbr validation check in last 2 bytes. It contains information about GRUB (or LILO in old systems). So, in simple terms MBR loads and executes the GRUB boot loader. If you have multiple kernel images installed on your system, you can choose which one to be executed. GRUB displays a splash screen, waits for few seconds, if you don’t enter anything, it loads the default kernel image as specified in the grub configuration file. GRUB has the knowledge of the filesystem (the older Linux loader LILO didn’t understand filesystem). Grub configuration file is /boot/grub/grub.conf (/etc/grub.conf is a link to this). The following is sample grub.conf of CentOS. As you notice from the above info, it contains kernel and initrd image. So, in simple terms GRUB just loads and executes Kernel and initrd images. Since init was the 1st program to be executed by Linux Kernel, it has the process id (PID) of 1. Do a ‘ps -ef | grep init’ and check the pid. initrd stands for Initial RAM Disk. 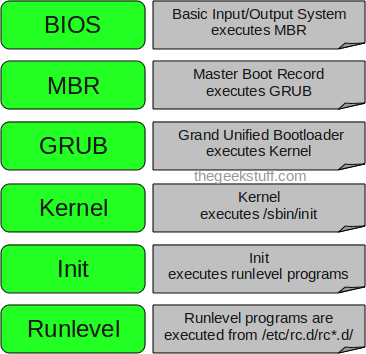 initrd is used by kernel as temporary root file system until kernel is booted and the real root file system is mounted. It also contains necessary drivers compiled inside, which helps it to access the hard drive partitions, and other hardware. Looks at the /etc/inittab file to decide the Linux run level. Init identifies the default initlevel from /etc/inittab and uses that to load all appropriate program. If you want to get into trouble, you can set the default run level to 0 or 6. Since you know what 0 and 6 means, probably you might not do that. Typically you would set the default run level to either 3 or 5. When the Linux system is booting up, you might see various services getting started. For example, it might say “starting sendmail …. OK”. Those are the runlevel programs, executed from the run level directory as defined by your run level. Depending on your default init level setting, the system will execute the programs from one of the following directories. Please note that there are also symbolic links available for these directory under /etc directly. So, /etc/rc0.d is linked to /etc/rc.d/rc0.d. Under the /etc/rc.d/rc*.d/ directories, you would see programs that start with S and K.
Programs starts with S are used during startup. S for startup. Programs starts with K are used during shutdown. K for kill. There are numbers right next to S and K in the program names. Those are the sequence number in which the programs should be started or killed. For example, S12syslog is to start the syslog deamon, which has the sequence number of 12. S80sendmail is to start the sendmail daemon, which has the sequence number of 80. So, syslog program will be started before sendmail. All IT projects needs a bug tracking (or issue tracking, or defect tracking) system. Sure, we need a bug tracking system for a software development project. But, what about a sysadmin team, dba team, network team? They all need some help to track their work, and issues of their system, database and network. I’ve listed 10 open source bug tracking systems, that you can experiment, and choose based on your taste and requirement. This is not a comprehensive list by any means. I’ve used all the systems listed in the top 5, and I strongly recommend that you choose one from the top 5 list. I love bugzilla, and have been using it for several years. If you don’t have time to play around with multiple systems to figure-out which one you like, just go with Bugzilla. What is your favorite bug tracking system? Leave a comment and let me know. Are you looking for a stable, actively maintained, widely adapted bug tracking system? Look no further. Bugzilla is for you. This is used by various big open source projects to track their bugs. For example, Linux kernel development team, Apache development team, GNOME development team uses bugzilla. Red Hat also uses bugzilla to track the issues found in Red Hat Distribution system. Bugzilla is written in Perl, and works on various databases including MySQL and Oracle. This step-by-step instruction guide on how to install bugzilla will get you started. Flexible reporting and charting. Including ability to to scheduled reports and receive it via email. Add custom fields and workflows. View full list of features here. Mantis issue tracking system is written in PHP, and works on various databases including MySQL, MS SQL, PostgreSQL. Trac is written in Python. Apart from issue tracking, it also provides wiki, and integration to subversion. The web interface is very simplistic and easy to use. This also provides project management features including roadmap and milestone tracking. Redmine is written in Ruby on Rails. Apart from tracking issues, it provides a full project management features. OTRS bug tracking software is written in Perl. OTRS has all standard defect tracking features that you would expect. View full list of features here. This was developed by the MySQL team, and written in PHP. You can use this as a bug tracking tool, or issue tracking system. This provides all the basic features that you might expect in a tracking system. Fossil is written in C, and uses SQLite database. Apart from bug tracking, it also provides Wiki. Installation is very straight forward, as it is a single executable that contains everything you need to get fossil up and running. Bug genie is written in PHP. Provides a wizard based bug tracking software. It also integrates the openSearch functionality. Integrates with Subversion. You can develop your custom modules on top of bug genie. WebIssue is written in PHP, and uses MySQL database for the server side. Everything in this top 10 list is web based bug tracking system except WebIssues. This is at number#10 because it doesn’t provide a web-based interface. You need webissues client that runs on Windows, or Linux to access the server component.